Khartoum, 6 Feb (SUNA)- The joint Sudanese Bahrain political consultation committee is meeting in Khartoum here Tuesday with the Sudan side led by the Undersecretary at the Ministry of Foreign Affairs, ambassador Abdul Ghani Awad Al Karim, and the Bahrain Side led by Undersecretary for Political affairs and The Arab Gulf Council, ambassador Haidar Sayar. The meeting will be attended by the ministries of International Cooperation, Finance and National Economy, Justice, Investment, Health and Labor as well as the Sudan ambassador to Manama, Bahrain. 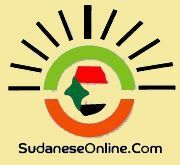 The official spokesman for the ministry of foreign affair, Ambassador Ghareeb Alla Khidir, told the Sudan News agency that the political consultation committee between the two sides seeks to continue consultation and coordination between the two sides in the political, diplomatic, economic, and cultural and security aspects with emphasis on the investment questions. He said the meeting will also touch on the Bahraini funded Khairat Baharain project that is one of the largest projects in the country, covering an area of over 100 thousand fedans and which is expected to hugely contribute to the Arab food security. انبهلت ( بلطي ) فقط لا غير ..الله اكبر..
لهذة الاسباب طبيب يحذر السودانيات من دخان حطب (الشاف والطلح)! لعنة الذهب” في جبل عامر… وقائع وشهادات وألغاز! الولاية في الاسلام نوعان ثابته ومظنونه !! كقول : فلان ولي صالح أو فلان من أولياء الله الصالحين !!! ما هذا المظهر المتخلف يا سلفيين؟! اميرة: ليه قفلتي بوست فرانكلي: ليه قفلت بوست حظر كتب حمور..الخ. يا جماعة علمونا كيفية إدراج اسكريبت نافذة الفيسبوك في البوست ..